Finally, you can enjoy a boost of energy in a natural and gentle way. 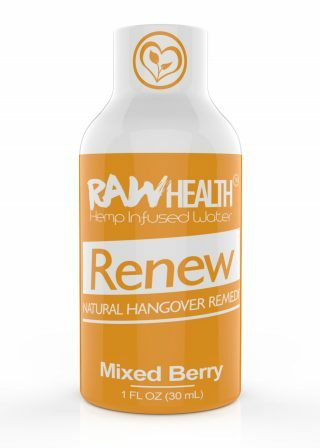 Our Raw Health “Refresh” Strawberry Water provides you with the energy that you need to get through the day without any of the jitters or discomfort. Containing only natural, plant-based ingredients, this infused water contains loads of terpene-rich HEMP in addition to herbs, vitamins and minerals that your body needs to feel its best. Besides being good for you, our Raw Health “Refresh” Strawberry Water is uniquely delicious. The strawberry taste is absolutely refreshing. Made with real strawberries, you’ll find that this infused water quenches your thirst on a deep level. 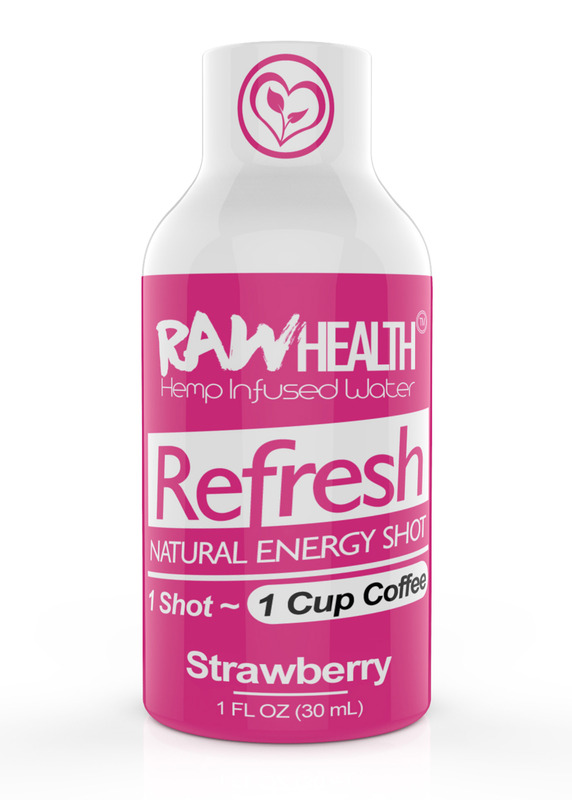 Our Raw Health “Refresh” Strawberry Water is taken as a shot. In terms of the energy that it provides, it’s equivalent to one cup of coffee. Our broad-spectrum hemp oil gives your body the perfect dose of HEMP. Many of our customers find that this shot improves cognitive function while alleviating anxiety, pain, headaches and depression. If you’re feeling sluggish and in need of a boost, our Raw Health “Refresh” Strawberry Water is the way to go. With just nine ingredients, you can feel good about taking this shot each day.